The fireplace and surrounding mantel or chimneypiece are often the focal point of any room and are therefore a good place to start in any interiors scheme. There are many beautiful chimneypieces available made in a range of traditional materials – stone, marble and wood. Antique chimneypieces are available that have been removed from other properties but there are also very many beautiful reproduction versions to suit all tastes and budgets. Turner Baker works closely with Jamb who have an extensive range of antique and reproduction chimneypieces and an unparalleled understanding of chimneypiece design. One of the most important things to consider when deciding how a fireplace will feature in a room is size. A very large fireplace will need an appropriately large sized flue for it to work properly and this needs to be factored into the overall design plan of the property. 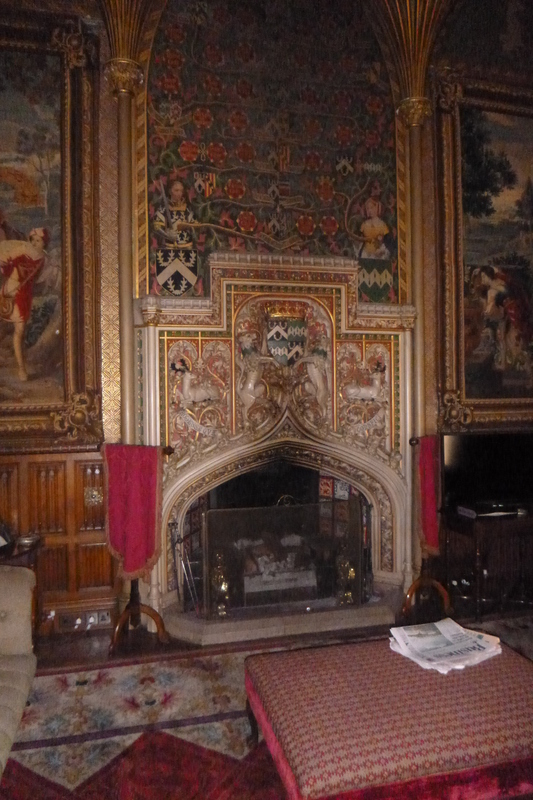 We occasionally see very large fireplaces in old properties that are original inglenook fireplaces. An inglenook or chimney corner is a small recess that adjoins a fireplace. The word is formed with ingle, meaning “fireplace” in Old English and nook. An inglenook fireplace originally would have been used as the focus for a domestic situation, to cook, dry clothes and warm up cold, tired bodies. That is why an authentic inglenook fireplace will often have a seat built into either side of it. The other consideration of any inglenook fireplace is that generally, you need to have a large flue to accommodate a large fireplace. This means that in effect, you have a large opening to the outside and if you are not intending to use your inglenook, it is just a very draughty hole on a chilly evening. When not in use, an inglenook can be successfully blocked by fitting a register plate to redundant fireplaces or a closable plate within flues that are used on a seasonal basis. Fireplaces were often reduced in size either due to fashion or economic circumstances. A Victorian cast iron bedroom fireplace would not have been very large and would have needed a similarly small flue to make it work efficiently. In many period properties, fireplaces were boarded up with the advent of central heating, but now, more and more homeowners are keen to get them working again. It is not advisable to remove whatever was used to block up the fireplace and try and light a fire straight away. Due to the inherent risks involved in lighting a fire in a property, there are several safety checks that should be done before getting to that stage. Firstly, the flue inside the chimney that you are intending to use should be swept properly by a NACS or Guild of Master Chimney Sweeps registered practitioner. This will clear any birds nests, cobwebs and loose masonry that may have collected in the flue whilst it has not been in use. Secondly, some kind of internal test of the flue needs to be carried out to ascertain whether the flue is safe to use. A CCTV survey will immediately show whether the flue is lined or unlined. If the flue is lined, it will give an indication of the integrity of the liner. It has been common practice to line chimneys for a number of years now and whilst advances in technology mean that modern flue liners are available in one piece, early liners were generally supplied as pipes that slotted together and it is not unusual for the joints in these early liners to fail. A camera survey will also identify any bends in the flue where debris might collect, possible timber lintels in the brickwork and any obstructions such as old spit mechanisms. A CCTV survey will give detailed information on the condition of the inside of your flue. What it won’t tell you is how well your flue works. To establish this, there are two different smoke tests available. A Dynamic smoke test – checks the draw of an appliance or open fire. In other words, when the fire is lit, a dynamic smoke test is designed to establish if the smoke escapes up the flue efficiently or if it fills the room where the fire is with smoke. A Static smoke test – checks the integrity of the flue. When an appliance is used or a fire is lit, this test will show if smoke leaks from the flue into other areas of the property. It is unusual for an unlined flue in a period property to be given a clean bill of health if it has been redundant for a long period. Bricks and the mortar that holds them together, particularly in areas where the original materials used are soft, are likely to degrade over time and for this reason the flue is unlikely to be smoke tight. For period properties where coal has been burnt in the past, the inside of the flue may well be affected by the salts that are deposited from the coal that stick to the side of the flue and are difficult, if not impossible to remove with conventional sweeping methods. There is a simple solution to the issue of a flue that is no longer fit for the purpose of hosting an open fire, gas fire or woodburning stove and that is to have it professionally lined. There are many different modern lining solutions available, ranging from more cost-effective solutions like stainless steel to the more expensive but longer lasting and more flexible thermosetting resin liners available today. Each period property has its own unique characteristics and a lining solution that may be perfectly safe for one property may be totally unsuitable for another. It is down to the experience of the installer to ensure that the right system is chosen for each property. Lining a flue will improve the performance and the safety of the flue and allow you to enjoy your open fire, woodburning stove or gas fire on a cold winters evening. A liner is not a miracle solution though; you will still have to follow good practice to ensure its longevity – regular sweeping, for example, is very important. Using well-seasoned wood is also paramount to reduce the build-up of sticky tar in the flue. Fireplaces come in many different shapes and sizes, from inglenooks with in-built seats to small Victorian cast iron designs. 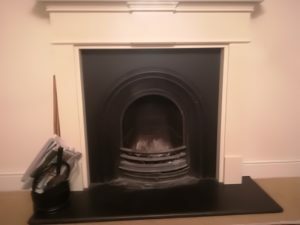 Many homeowners are keen to either restore their fireplaces back to the original or alter fireplaces to suit the updated style of their property. It is always advisable to enlist the help of an expert with this process as any changes to the fireplace opening will have to be carefully considered in relation to the size of the flue. If the flue is too big for the fireplace it will not work properly and vice versa. If you would like more information about opening up a fireplace or establishing whether a flue is safe to use, please call Turner Baker on 01432 839123.